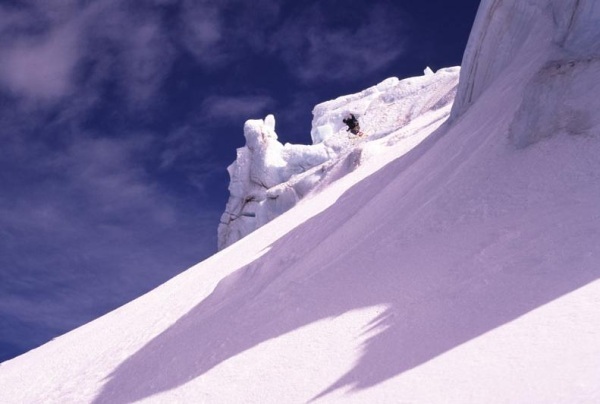 Avalanche safety is crucial when skiing out-of-bounds. It’s important to get to know the snow. Use every resource at your disposal. Read as much as you can. Reading won’t substitute for experience, but it may help you learn from experience quicker. Attend a free avalanche clinic. Take an avalanche course. Find a mentor. But in the long-term, most importantly, learn to make your own judgements. Never blindly follow someone because they tell you that the snow is safe. Learn and practice safe route-finding and snow travel techniques. Travel one-at-a-time on dangerous slopes. Cyril Benda takes some air on the South Lyman Glacier of Mt Adams; moments later I played dodgeball with a house-sized serac. With that being said, I’ll briefly discuss the most basic avalanche gear. Generally considered indispensable are the probe, shovel, and beacon. These are all exponentially less important than a properly-working brain. Besides the emergency scenario of digging through avalanche debris, shovels are useful for digging emergency shelters, snow caves, wind blocks, and pits to analyze the snowpack. A shovel blade can also be a good place to set a stove. Plastic shovels break; if it’s worth taking a shovel, it’s probably worth having a metal shovel. A shovel with an extendable handle is nice. Large blades can get heavy. I have really liked the BCA Traverse as a lightweight, metal shovel with an extendable handle. Dedicated probes work much better than any multifunction ski poles. They can be used to feel layers within the snowpack, check crevasse bridges on glaciers, or to make an emergency rescue sled. In the case of using them to locate an imperiled friend under slide debris, they assemble much more quickly and reliably than ski poles. 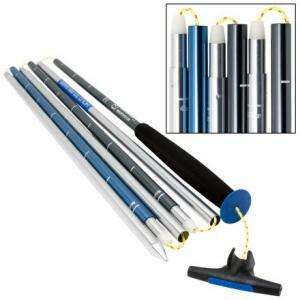 Quality probes are available from Black Diamond, Life-Link, Mammut, and Ortovox. 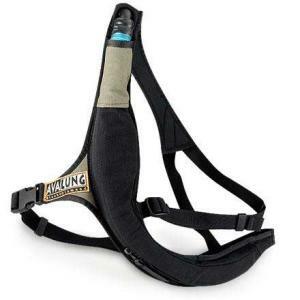 Buy Avalanche Safety Gear Now! 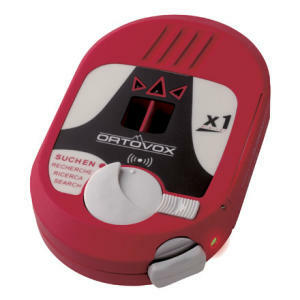 Ortovox Avy Probe On sale! 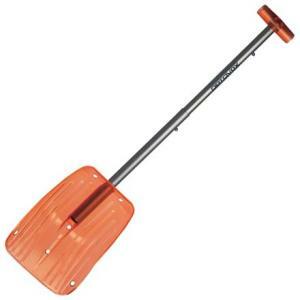 Backcountry Access Tour Shovel System On sale! Beacons are used to locate someone who has been buried in an avalanche. They can save lives. But they don’t make you safe. When using a beacon, remember that a significant fraction of avalanche deaths and injuries are caused by trauma. 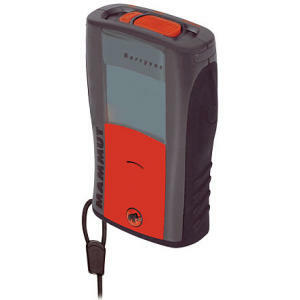 The newer digital beacons make it easy to locate buried signals. 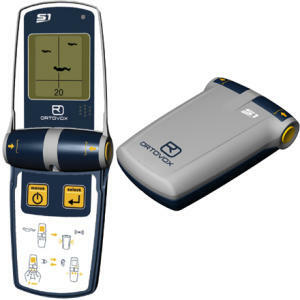 The Tracker DTS was the first digital beacon and is still the user-friendly champion. 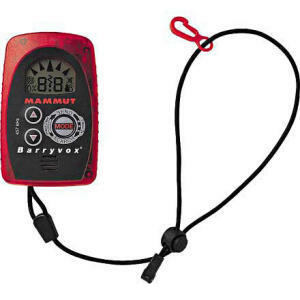 The Mammut Barryvox offers both the ease of digital search and the option for analog search, which would be better in a multiple-burial scenario. The Pieps DTS pioneers the three-antenna digital beacon, which allows for quick, efficient digital search in a mutliple burial scenario. 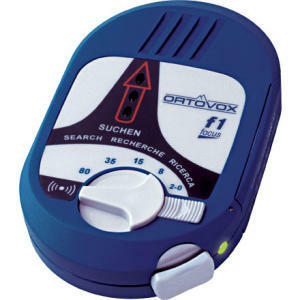 The Ortovox M2 has an 80 m search range, significantly longer than other beacons. These new beacons are very impressive, but amidst all the multiple-burial this, long-search-range that, remember that prevention is the real key to safety. Multiple burials are mostly avoidable with safe travel techniques. Avalanche avoidance is of the utmost importance. Modern technology is nice and it does saves lives, but when being swept down a slope with no control over my fate, I found no comfort in my beacon. Now go play in the snow!